Mountain Huckleberries ripe for the picking. I got done with work this afternoon and recalled that I was flying solo – my wife and the boy were away. Rather than head out to see a movie or sitting on the couch playing video games until my eyes rotted out, I decided that it would be a fun evening event to go for a hike instead. 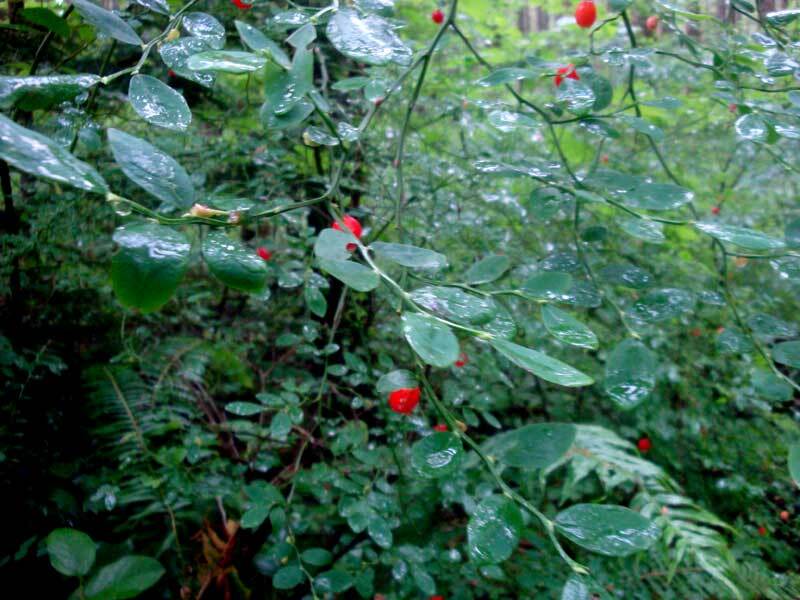 In the greater Seattle area we have ample hiking trails within a stones throw from most metropolitan areas. I decided the best one to tackle today was Rattlesnake ledge – it was already 6 PM and the hike is a good 4 miles. I threw together a small day pack, because I never go into the mountains without supplies, and I was off. A quick and traffic free trip down the freeway, and I was there. I had high hopes the trail would be mostly vacant, and it thankfully was. The quiet was exactly what I had been looking for. The hike up was quick, but required a midway stop for fuelling (I was hiking during what would normally be my dinner hour. I know lots of paleo folks practice IF (intermittent fasting) now and again, but I wonder how many do it while under exertion). Fuel was a Larabar and a hunk of meatloaf I had brought along. They hit the spot and I found myself reenergized. Cool and cloudy - welcome to Seattle's 2011 summer. At the top, I was the only one. It was the first time that had ever happened for me. The moment was serene and looking down at the valley below me provided an excellent point for introspection. 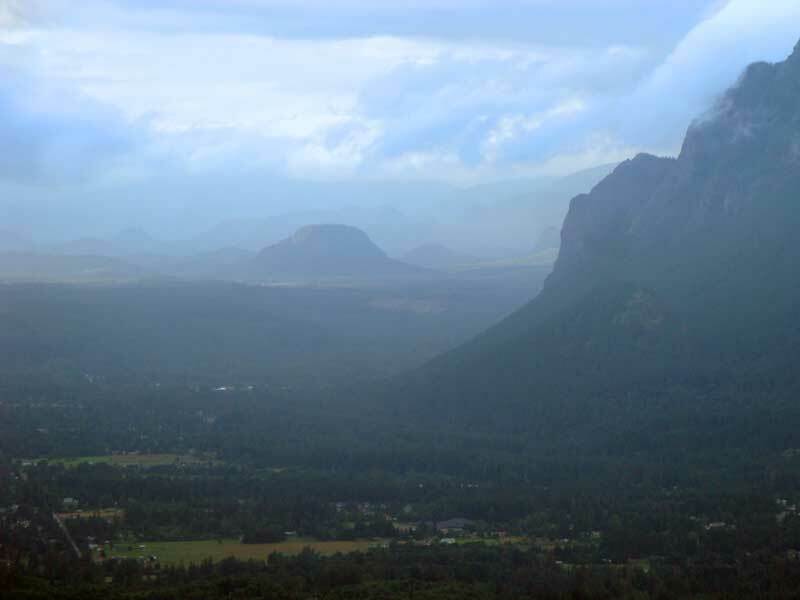 Clouds hung heavily in the valley, clinging to its walls and outcroppings. The sky darkened. Experience told me rain was on the way. I snapped a couple of pictures and headed back down to the lake. My time in the wilderness would soon be over. I ran down the trail, bounding from rock to rock, hopping and bounding along. I noticed myself smiling – this movement, this mix of conscious effort, focus, and risky behavior was blissful. Everything surged, becoming clearer despite the failing light of evening. Soon enough, it was dark enough where I could no longer run the trail, so I slowed to a jog, and then a fast walk. Even this felt good – a natural progression that seemed to follow the contour of the hill I had so recently conquered. The lake was still and beautiful. There was a kayaker out there. 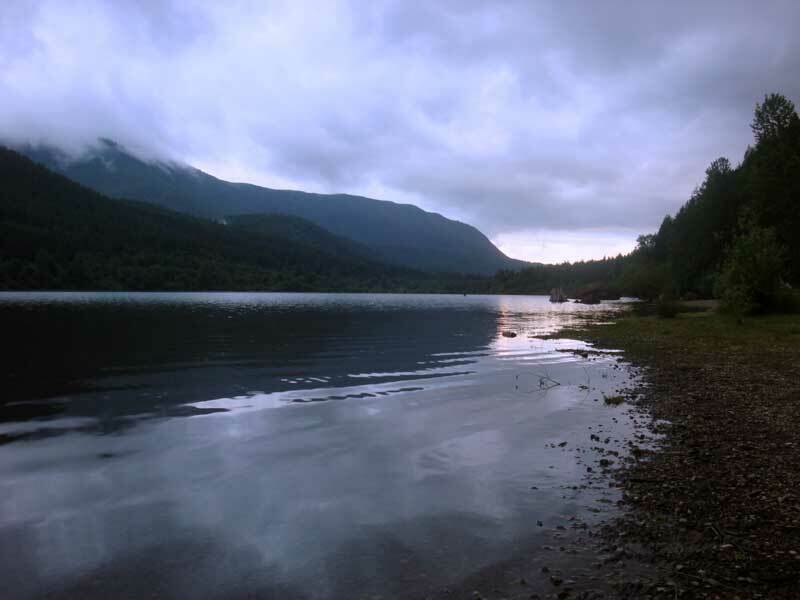 At the lake (at the trailhead), the rain began to fall – a perfect endcap to my evening. I snapped a few more pictures of the rain dimpled lake surface and turned back towards the trail home. 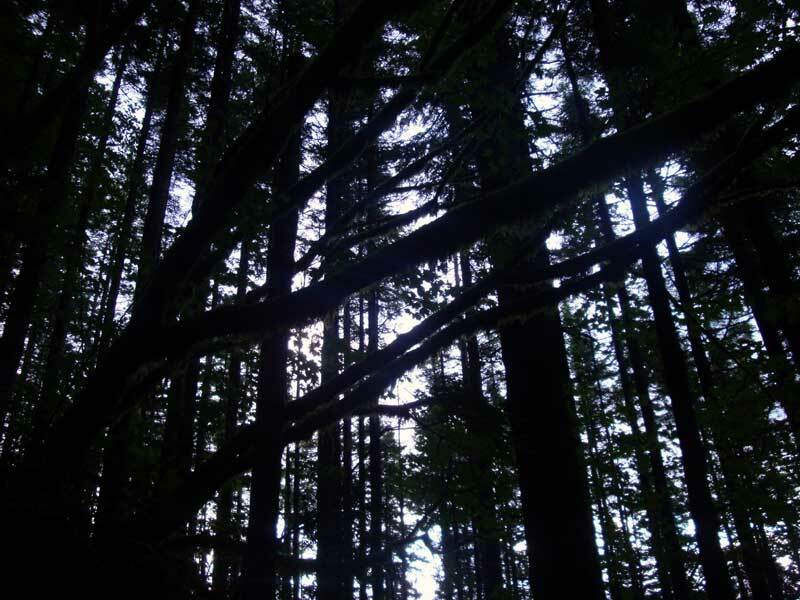 Whenever I’m out there, in the wilds – or at least quasi wilds – of the Cascade mountains, I’m left with a sense of wonder, awe, and in a strange way belonging. Not like I fit perfectly in some larger picture or anything like that, but more like an acceptance or expression of the natural in me reconnecting with everything around it in a way that just isn’t possible in a city, suburbia, or ruralia. It’s what made this day trip truly special, because it’s not something I often do in the middle of the week. With the way it felt, however, I will be doing it more often in the future. The trees cross the sky. This entry was posted in Feet, fitness, foraging, hiking, human animal, Lifestyle, movnat, primal, Simple living and tagged fitness, functional, hiking, lifestyle, movnat, natural, primal, simple, training by hbomb. Bookmark the permalink.